This regiment became part of the British Army in 1794, but its history dates all the way back to the 16th century. It existed until the 1881 reforms, when it was amalgamated into The Connaught Rangers. In 1568, Scotland was under the rule of the Earl of Moray, acting as regent for the newly-crowned teenager James VI (later also King James I of England). Keen to bolster his reputation as a good Protestant, Moray sent a ‘Scots Brigade’ to the Netherlands that year to demonstrate his support for its rebellion against Catholic Spain. 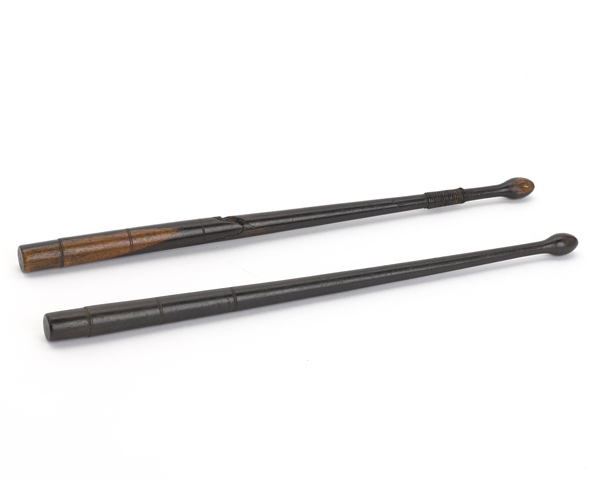 This unit remained in the Netherlands for over 100 years, swearing loyalty to the Dutch Republic in 1665 during the Second Anglo-Dutch War (1665-67). In 1688, King James II - a grandson of James I - transferred the brigade to the English establishment to strengthen his failing grip on the British throne. However, most of its officers refused this summons and instead joined his Dutch rival William III in his invasion of England. The brigade then stayed in Scotland from 1688 to 1692. It suppressed a Jacobite rising there, before returning to the Netherlands. During the War of the Austrian Succession (1740-48), parts of the brigade fought at Fontenoy (1745), Rocoux (1746) and Lauffeld (1747). In 1783, during the Fourth Anglo-Dutch War (1780-84), most of its officers returned to Scotland after refusing to wear Dutch army uniforms and accept orders in Dutch. The remaining men were integrated into the Dutch army. Eleven years later, after lobbying by its officers, it was reformed on the British establishment as the ‘Scotch Brigade’. Originally composed of four regiments or battalions, it had been reduced to one by 1797. 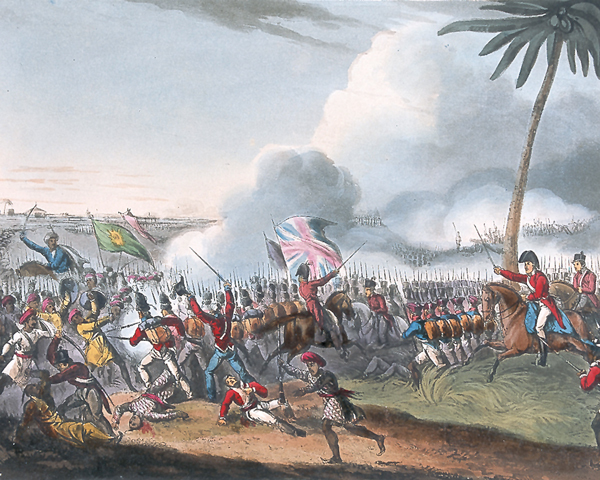 This fought in the 4th Mysore War (1799) at Mallavelly and Seringaptatam, and in the Second Maratha War (1803-05) at Argaon and Gawilghur in 1803. It gained an elephant as part of its cap badge for these services. In 1802, it became the 94th Regiment of Foot, the fourth infantry regiment to bear that numeral since 1760. 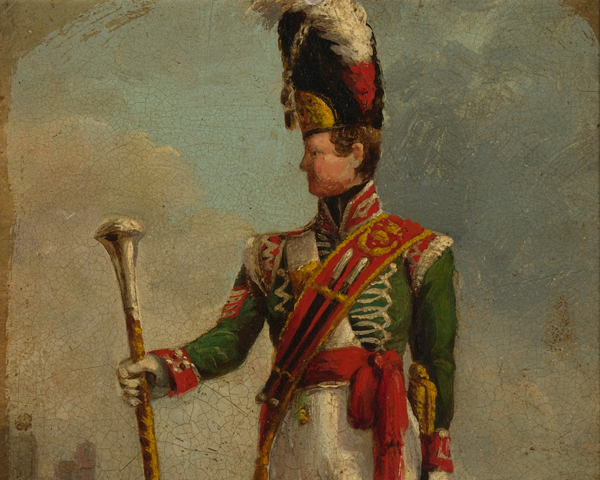 After returning from India to Scotland in 1808, the regiment deployed to the Peninsular War (1808-14) in 1810. It saw action at Sabugal (1811), Fuentes de Oñoro (1811), Ciudad Rodrigo (1812), Badajoz (1812), Salamanca (1812), Burgos (1812), Vitoria (1813), the Nive (1813), Orthes (1814) and Toulouse (1814). 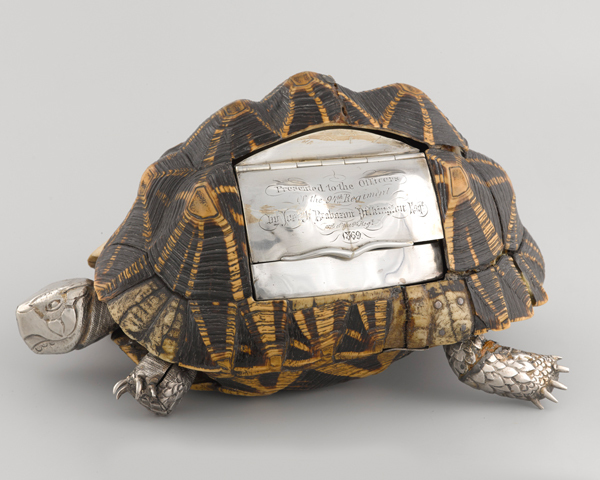 It remained in Ireland throughout the Waterloo campaign (1815) and was disbanded in 1818. 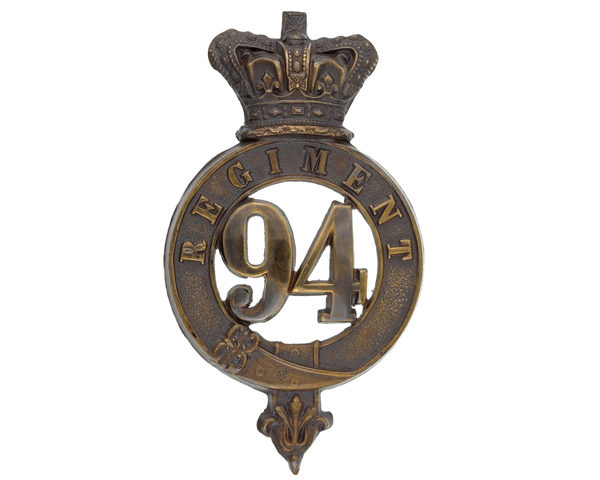 Five years later, a new 94th Regiment was formed at Glasgow, centred on four officers from the recently disbanded unit. It subsequently carried out garrison duties at Gibraltar, Ceylon (now Sri Lanka), Ireland, Malta, Aden, and at various cantonments in India. It sent men as reinforcements to the Crimean War (1854-56). Then, during the Indian Mutiny (1857-59), it helped garrison Baluchistan and the North West Frontier. 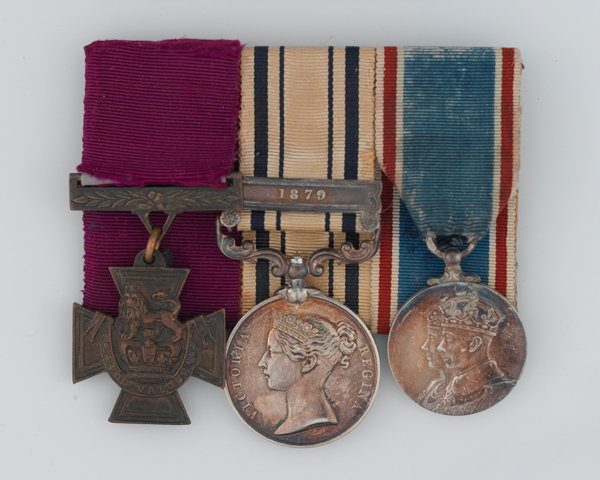 In 1875, it was recognised as the successor to the previous 94th Regiment and granted that unit's badge, uniform and battle honours. Four years later, it fought at Ulundi in the Zulu War (1879) and then against the Boers in the Transvaal War (1880-81), where its suffered heavy losses at Bronkhorst Spruit. In July 1881, it was amalgamated with the 88th Regiment of Foot to form The Connaught Rangers. Raised in 1793 in the west of Ireland, this infantry regiment served until the reforms of 1881 when it was merged into The Connaught Rangers. The Connaught Rangers was an Irish infantry regiment of the British Army, which mainly recruited in the west of Ireland. This British Army infantry unit existed between 1881 and 1922. It recruited in Munster, a province in the south-west of Ireland. The Royal Dublin Fusiliers was an infantry regiment of the British Army, which recruited in the east of Ireland. The Leinster Regiment was an infantry regiment of the British Army, which recruited predominantly in central and eastern Ireland. This infantry regiment existed between 1684 and 1922. It mainly recruited in Kilkenny, Wexford, Waterford and Tipperary.